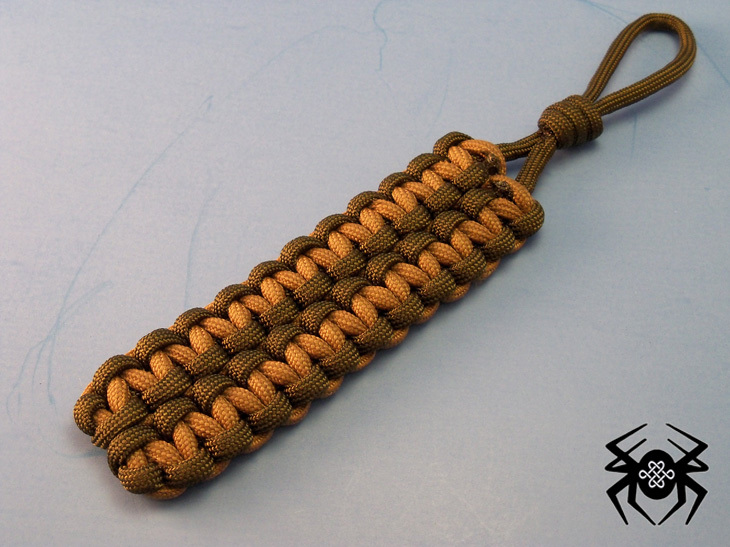 The Solomon Bar is probably the most common knot tied for key chains, fobs, bracelets, etc. The Wide Solomon Bar is an extension of the knot. I wanted an earth toned key chain to swap out for my Alabama Monkey Fist key chain (until football season starts anyway). I had watched a video by JD @ TIAT that showed how to tie a Wide Solomon Bar bracelet with buckles and I thought that it would look great as a key chain. 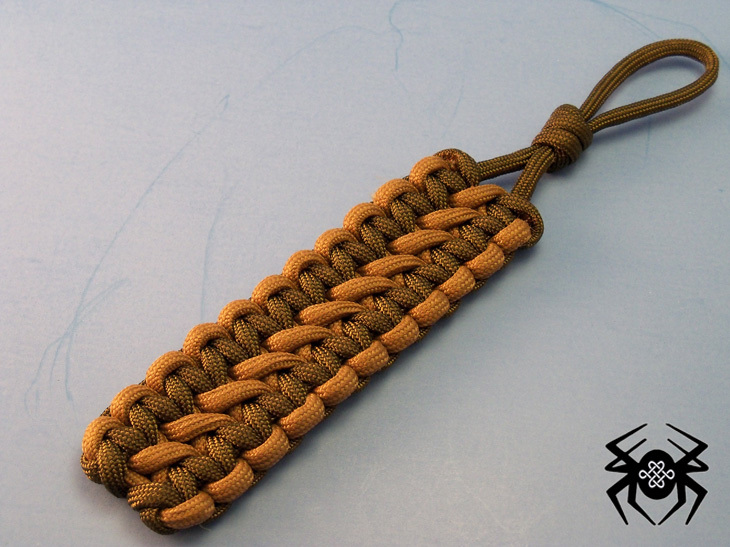 I used two four foot strands of Olive Drab 550 nylon paracord and one four foot strand of Desert Tan to complete this fob. Do you have step by step instructions on how to tie this particular don sans key rings? @Anonymous: I'm not sure what you mean by "don sans". Do you mean, how I made the loop for the key ring? If this is the case, I don't have the steps, but a video by TIAT shows the method. Click here for the video and then at 00:25 in the video will show the tying technique. 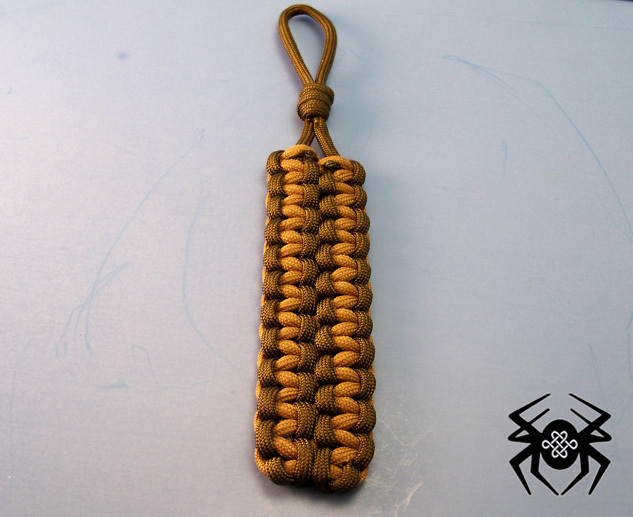 It's called a Blood Knot which you may be able to search for a tutorial. The author of that video also makes a video showing how to tie this design (Wide Solomon Bar), you can view that video here. Thanks. 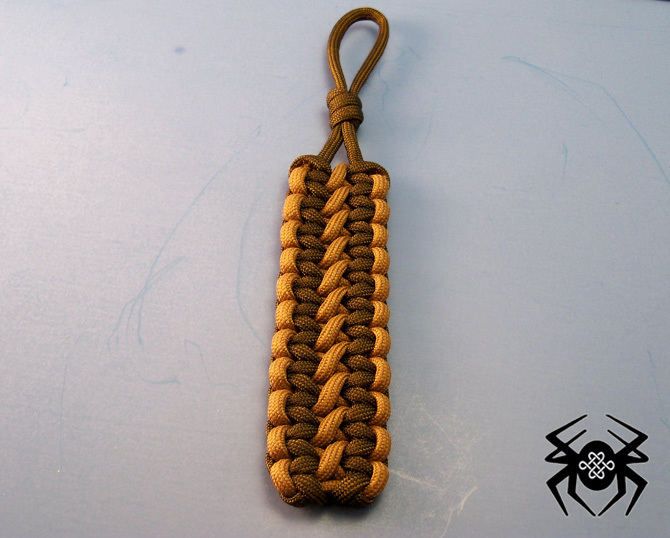 I like this design, but needed to figure out how to start it without tying the cord onto key rings, and all the videos I've found so far use rings. What I'm trying to say is that I want to learn how to tie it exactly like you have it here, the videos and other tutorials I have found use key rings and clips to start it. I like the clean look of yours better. 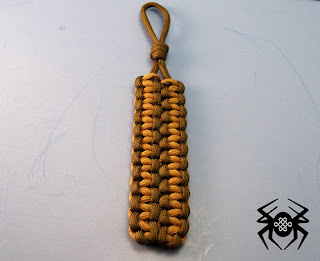 @Anonymous: I recently posted how to tie the Wide Cobbled Solomon Bar and the starting technique, though a little different, is the best way to recreate this keyring design.